The 2018 CMIA Educational Conference will be held at Ontario Airport Hotel, Ontario, California September 20 – 21, 2018. At the vendor fair EQ2 will be discussing our latest innovations for the HEMS CMMS for HTM/Biomedical/Clinical Engineering and other areas throughout the hospital. These include a next generation mobile app, new interface with the oneSOURCE HTM Service Document Database, powerful department specific dashboards for analysis of information, new interfaces, and ADFS (Active Directory Federation Services) to add to the current offerings for Single Sign-on. Learn about the role of HEMS in the hospital by checking out our videos page. This entry was posted in Events and tagged Tradeshows. Bookmark the permalink. EQ2's HEMS has been turning data into action since 1983. We are enthusiastic about creating tools that are robust yet intuitive, so that the professionals we serve can get back to what they do best. If you are already an EQ2 customer and need support for your product(s), go to our Support Page. This results in a faster response than calling us on the phone. For sales or information, go to our Request More Information Page. © Copyright 2009-2019 EQ2, LLC All Rights Reserved. 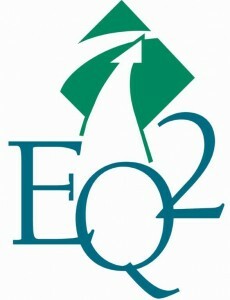 "EQ2", the EQ2 logo, and "HEMS" are registered trademarks of EQ2, LLC and may not be used without permission.